One of the nature highlights of the Balkan is the Kosovar Rugova Valley; a stretched mountain range with water, waterfalls and rocks. Those who freely want to enjoy the area can drive through the valley by car. Every season brings a new kind of beauty, so there is enough to enjoy. 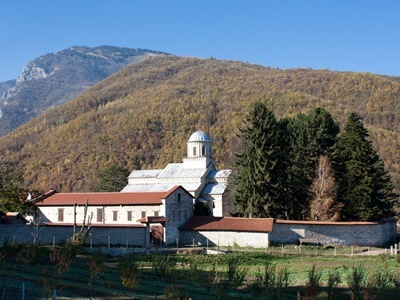 Hidden in the woods, protected by NATO soldiers and worthwhile to visit: the Serbian Orthodox monastery in Deçan. The Visoki Decani is how you would imagine the perfect monastery – surrounded by woods, beautifully shaped, and wrapped in silence. 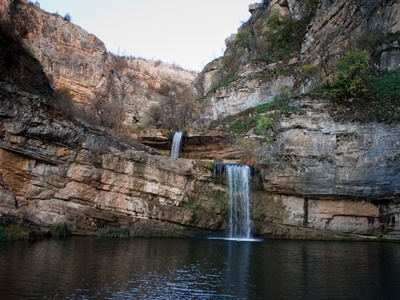 Hidden away in nature is the beautiful Mirusha waterfalls. A highlight in Kosovo tourism, and hardly to be found elsewhere in the Balkans. For those who want to get away for a couple of hours, the waterfalls are an absolute must see. One of the most historical places in the very recent history of Europa is the NEWBORN monument in Kosovo. The capital Pristina revealed the letters at the moment when the (former) province of Serbia declared their independence. 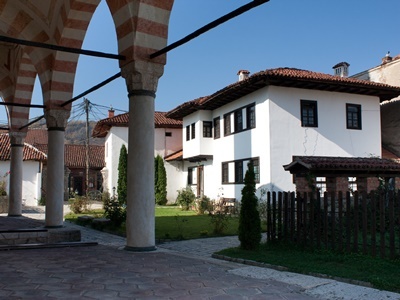 The Ottoman Empire has strongly influenced the Kosovar city of Prizren. Thanks to the European taxpayers many of the city highlights have been restored and accessible for everybody. You can climb the fortress, located less then twenty minutes from the city center. 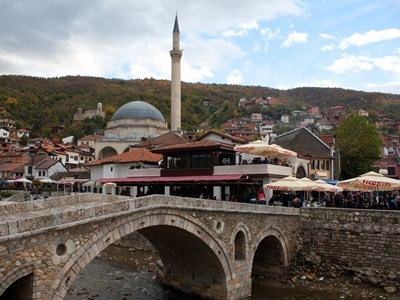 From there you’ll have a stunning view over Prizren, and you can count dozens of minarets. Gjakova might be the most authentic Kosovar town. At the same time, it’s a modern municipality, the only with a female mayor. Once, bears in Kosovo were kept in cages, close to restaurants, to amuse customers. 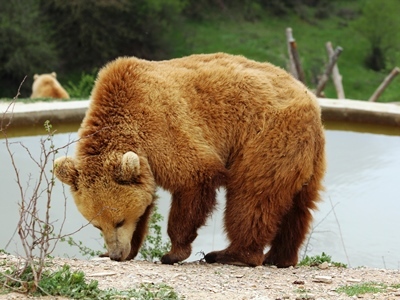 Now, these brown bears in Kosovo are enjoying a real natural environment. And the best part is that you can visit them. 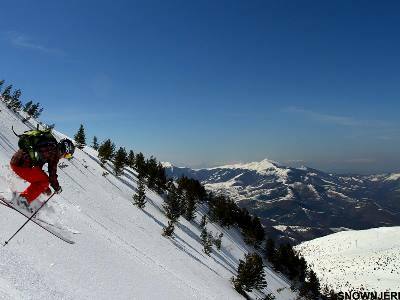 Brezovica is a popular ski resort in the south of Kosovo, close to the border with Macedonia. You might be interested in practical tips about Kosovo: the Travel Information Kosovo page. 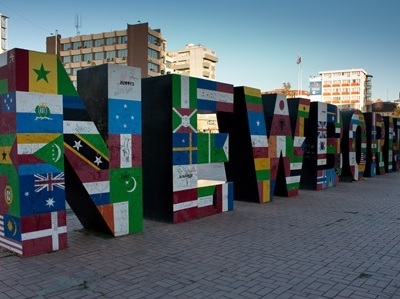 Did you know that we also have a page with a list of cities in Kosovo? This website looks beautiful and very nice, the design, informations and everything. I’m an Albanian (Kosovar) who want to thank you for your hard work while creating this website which promotes beautiful places of Kosova and helps that foreign tourists potentially to be attracted. I wish you all the best Stefan van Dijk and other people who made possible this website exists. My suggestion is that for each location to post more photos which will enrich the website. Dear Arbias, thank you for your message and your suggestion. We will keep improving. Faleminderit shume per punen qe keni ber rreth informimit te botes per Kosoven. Ju lutem vazhdoni spse kemi nevoj ne ngritje te imazhit te Kosoves. Thank you very much, Blerimi, we will! Hi there.. I’m also from Albania ( kosovar ), and congratulations for this good site to help people around the world who want’s to know more about KOSOVO… I also work online, and I own 2 websites, if you guys need any help, we ca work together.. again thank you and have a nice day.. Thank you, Ari, for your kind support!! Good luck with your work! Welcome! Do you have any more specific question? Hello, Assala mualaikum. I am a business man from Bangladesh. I want to travel kosobo. In my Country no kosovo Embassy. Some one told me kosovo Airport can give me arrival visa. please I need information about immigration and others. Please ans me by email. This makes me feel really happy.For the first time on my life I’ve witnessed someone actually promoting our country.Let me just say,I love the theme and the accurate descriptions of our monuments.Keep this amazing job,Stefan! Sooner or later,this website will become a huge success for you. 🙂 Wish you the best. Also please ignore my grammar/spelling mistakes because I’m only 15. Dear 15 year old, thank you so much for sharing this! hi, people in KOSOVO,because this site i know what is all about your country thank you for enlighten my mind to know this country.God bless all hopefully more picture to upload. Nice place, wont mind opening an office there. how can i get a tourist visa to be there? i am from Nigeria, wont mind if you can help me out with info. kindly, is it possible to add the Coordinates for all the beautiful places so we can reach it by GPS. Good day! I am from the Philippines, am much interested to know more of Kosovo, and am soliciting from your end any informative newsletter or magazine about your country , KOSOVO. Thanks and my best regards ! And from where does it leave? Thanks a lot for the quick answer, that really helped! This is pretty cool, congrats to Kosovars for having this beautiful ‘mirror’ of Kosova, respect from Preshevo, a city in Serbia, popular with Albanians (+90 %). 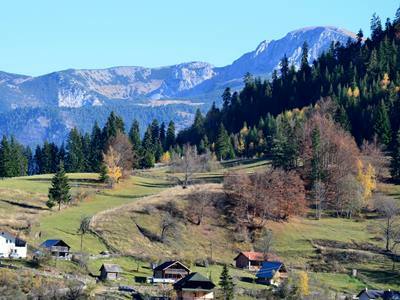 Pingback: Lonely Planet: Kosovo number 4 in tourism hotspots - We give you 8 tips! Hi , how can I travel vom Pristina to Nis(Serbia) with bus??? Fax:0049 (0) 2236 9480 458. Mobil:0049 (0) 170 547 4013.